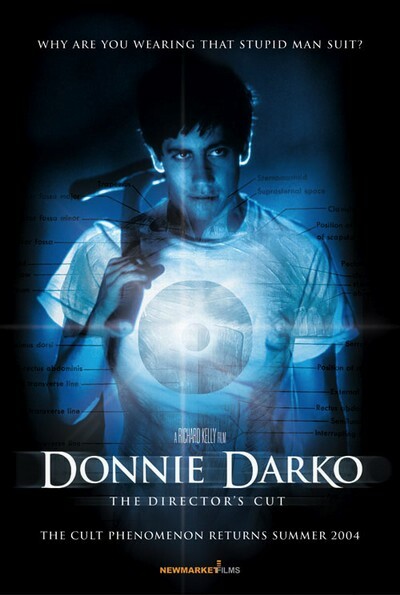 Story: Some may think that Donnie Darko is a typical maladjusted teenager. Actually, Donnie is borderline delusional, beset by visions of a monstrous rabbit, which is trying to keep him under its sinister influence. Prompted by this apparition, Donnie commits antisocial acts while he is undergoing psychotherapy, surviving the vagaries of high-school life and romance, and fortuitously escaping a bizarre death from a falling jet engine. Donnie battles his demons, literally and figuratively, in a series of intertwining story lines that play with time travel, fundamentalist gurus, fate, predestination and the machinations of the universe.